Scholarship support from alumni and friends like you is vitally important to students. Your support can give today’s students the opportunities to become tomorrow’s leaders. Below is a list of scholarships you can donate to! 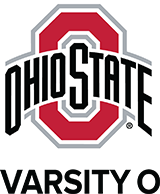 Bill Wentz Varsity O Post Graduate Scholarship Provides scholarship support to an outstanding OSU student-athlete letter-winner who will be pursuing a post-graduate degree at OSU. Phyllis J. Bailey Endowment Fund Established December 6, 1996, by friends and colleagues. Income supplements grants-in-aid to women athletes, covers expenses with the induction of women into The University Sports Hall of Fame, funds symposiums to feature our most talented women athletes and supports other projects that promote women in athletics at the University.